Anybody else have a thing for dessert? The hubs will put sugar on his sugar. The sons all inherited his sweet tooth. Me? My tastes are a bit more refined. Well maybe not really, but about the only dessert that I will consistently go ga-ga over is cheesecake. Flavor or type? Doesn’t really matter. I’m ALL about the cheesecake. And now I’ve found a way to perfectly bring all those flavors together into one perfectly replicated bowl of ice cream. 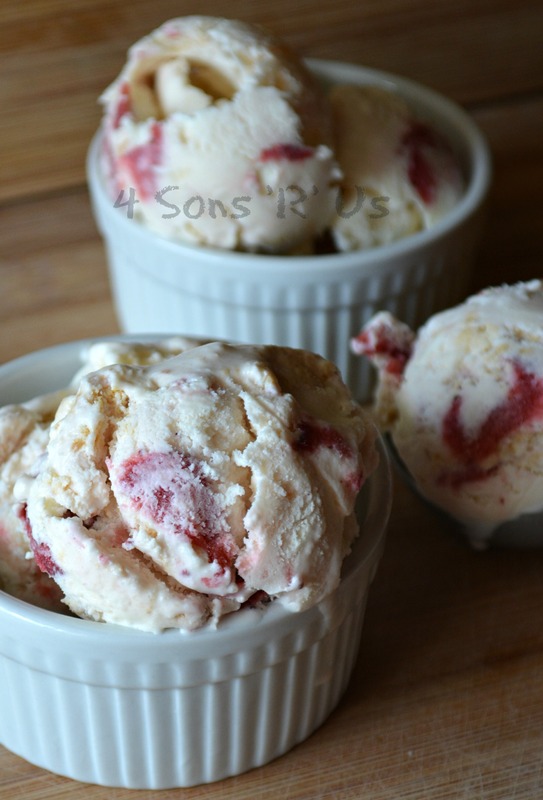 The flavors in this No Churn Strawberry Cheesecake Ice Cream will floor you. 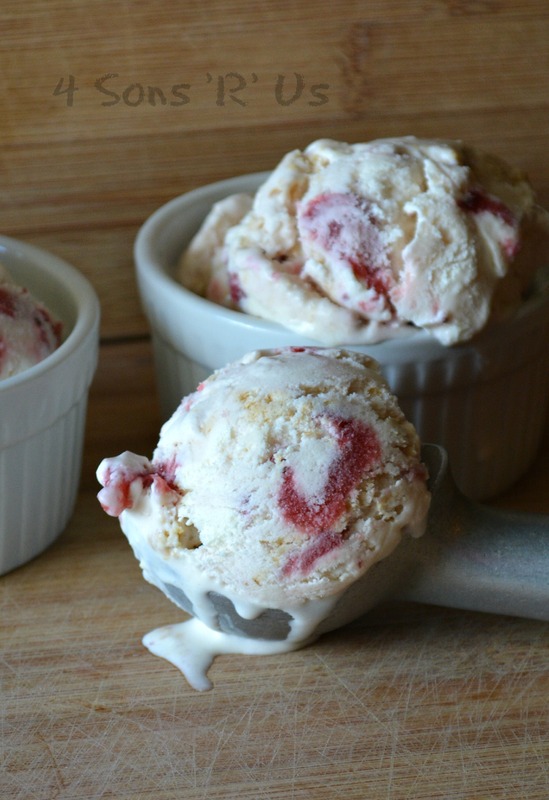 You get all the creaminess of the ice cream, the cream cheese of the ‘cheese cake’, the fresh chunks of juicy, ripe strawberries, and then the traditional graham cracker crumb ‘crust’ in every bite. Absolutely perfection (if I say so myself). It may have taken several years, err tries, if you will but now we’ve got this no churn ice cream thing down pat. Just look at it. All those sinfully tempting flavors in every scoop every bite of this ice cream. Ahhhh. Dreams DO come true. 1. Blend milk, cream, cream cheese, salt, vanilla and 3/4 cup sugar until smooth. Transfer to clean container, cover and chill overnight. 2. Meanwhile, preheat oven to 425 degrees. Hull and slice strawberries, tossing with remaining 1/2 cup sugar. Roast on a parchment lined baking sheet for 15 minutes. Transfer to a clean bowl, cover and chill. 3. Churn liquid according to manufacturer’s directions. In the last 5 minutes, drop strawberries and liquid a a small spoonful at a time. 4. 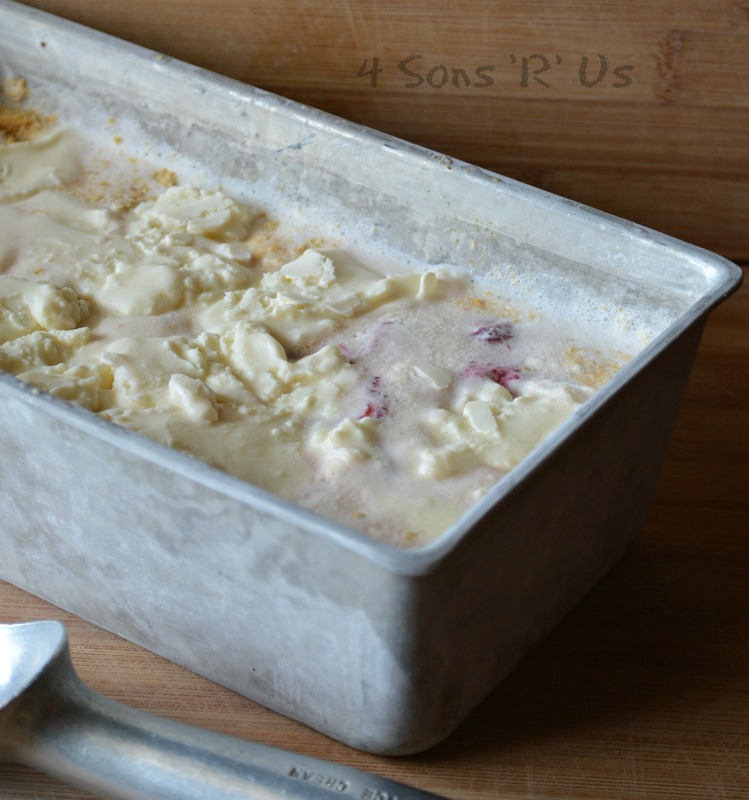 Alternate layers of ice cream and spoonfuls of graham cracker crumbs in a freezer safe container. Freeze until firm. This looks like the perfect summertime dessert! For whatever reason, I’m not really a fan of strawberry ice cream, but strawberry *cheesecake* ice cream is something I can’t resist. Thanks for sharing the recipe!